President Paul Kagame of Rwanda has expressed appreciation for the support of the United States of America (USA) to Rwanda’s economy, trade, investment among other areas. 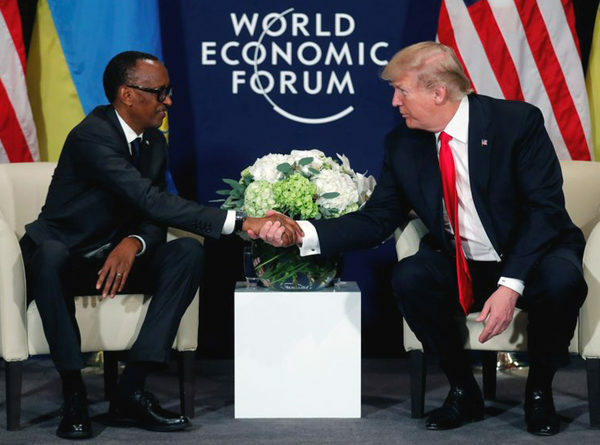 Kagame was speaking on Friday, January 26, 2018 during a meeting with his counterpart, Donald Trump of the USA at the sidelines of the 48th World Economic Forum (WEF) Annual Meeting, in Davos, Swiss. The WEF annual meeting is intended among other things to support multistakeholder efforts to deliver sustainable and inclusive economic development in the face of lower growth rates, declining productivity and skills gaps. President Kagame hailed the contribution of the US to various aspects of Rwanda’s economy and practices. 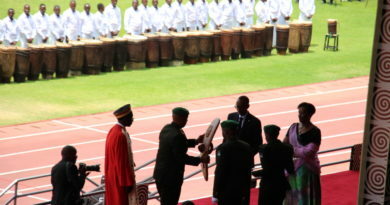 “Rwanda has benefited tremendously from the support of the United States, in many areas whether it is in peace support operations we have carried out in different parts of the world, we had the United States on our side supporting us; you had support our economy, in trade, investment,” he said. Both Trump and Kagame described their meeting as a ‘great honour,’ and that they appreciated their discussions. The United States Agency for International Development (USAID) – an independent agency of the United States federal government that is primarily responsible for administering civilian foreign aid and development assistance –, which started its mission in Rwanda in 1964 has been providing interventions in various areas including agriculture and food security, democracy, human rights, and governance, economic growth and trade, education, global health, and water access. During the late 1970s and 80s, USAID support to Rwanda averaged approximately $7 million each year, which grew to averaged $34.7 million annually from 2000 to 2003 to about $48 million in 2004; and rose sharply to over $128 million in 2016. 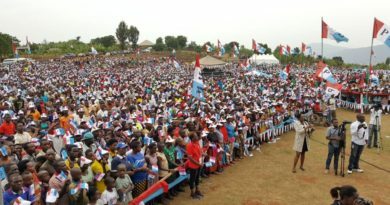 The bulk of the increase in assistance, information from USAID Rwanda shows, was due to the launch of several new U.S. Presidential Initiatives including the President’s Emergency Plan for AIDS Relief (PEPFAR), the President’s Malaria Initiative (PMI), and the Feed the Future (FtF)food security initiative. USAID/Rwanda continues to support each of these Presidential Initiatives, as well as the Global Climate Change (GCC) initiative in its programming. In the case of PEPFAR and PMI, USAID/Rwanda works closely with other U.S. Government agencies, including the State Department, Centers for Disease Control, Department of Defense, and Peace Corps, to fully implement activities. 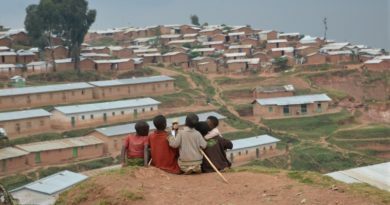 With the support of USAID and others, Rwanda has made remarkable progress. As Rwanda’s largest bilateral donor, the United States has helped support the agriculture-led poverty reduction the country has seen over the past 15 years- from around 60% to around 40%. Rwanda has achieved remarkable declines in maternal and under-five mortality over the past decade, demonstrating the highest average annual rates of reduction among the 75 countries where more than 95 percent of maternal and child death occur. From 2010 to 2015, under-five mortality was reduced from 76 to 50 child deaths per 1,000 live births, while the maternal mortality rate was reduced from 476 maternal deaths to 210 per 100,000 live births; greatly surpassing both Millennium Development Goals’ targets.